On a recent visit to see Once on This Island at New York’s Circle in the Square Theater, I experienced a new level of security check. The official on duty patted down patrons as they entered the theatre lobby. Asking him if this was a check for weapons or devices, he admitted that actually it was mainly for people bringing in drinks. At Hello, Dolly! the Shubert Theater security officers were standing at the entrance by a large dustbin checking patrons’ bags and taking any drinks off them. One lady in front of me told the officer she was in her 70s and needed her water; his curt response informed her that water was for sale inside the theatre. Earlier this month, English National Opera launched a ban on drinks, bought outside, being brought into the Coliseum. It said this was because of the behaviour of some attendees who added alcohol to the drinks they had brought in with them. 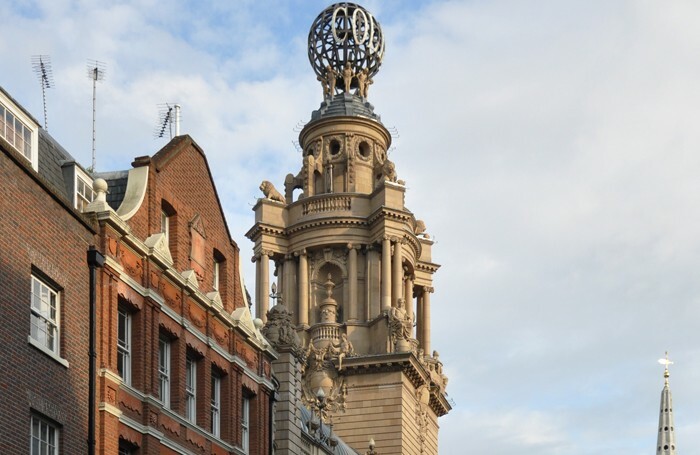 ENO initially only placed a ban on musical theatre and pop concert audiences, but extended the ban to all productions after accusations of discrimination towards specific theatregoers. It begs the question – how bad were things at its recent musical productions, Sweeney Todd, Bat Out of Hell and Chess, for such a policy to be adopted. Alternatively, is this simply being used as an opportunity for the theatre to increase its bar revenue? Three aspects of the ENO’s new policy stand out. The first is the consideration shown between fellow theatregoers. If this is not about enhancing bar revenue, then it is depressing that such a policy is considered necessary. Secondly, I suspect if this has been an issue, it was not the majority of theatregoers causing these problems and only a small number spoiling it for others. The third point is that I feel sorry for the hard-working ushers who have to deal with this and who will now have to police this policy – all of which goes beyond their duties. ENO is not withdrawing the sale of alcoholic drinks at its own bar. Someone coming to the theatre with the intention to get drunk at a performance can still purchase alcohol on its premises. There is obviously the consideration of bar licensing when alcohol is brought in from outside to be consumed on the premises. But if this decision is not about enhancing revenue, then why would a solution of allowing soft drinks – in a sealed can or plastic bottle – not have been acceptable? In many respects it would also be preferable. Drinks purchased from a theatre bar can sometimes come with a mountain of ice, which rattles loudly with every sip making it hard to concentrate on the performance on stage. Some readers may scoff, but this became such a problem during Bette Middler’s run in Hello, Dolly!, that she chose to ban ice from glasses in drinks served to audiences. She could be accused of diva-like behaviour, or alternatively, showing a consideration towards all audience members ensuring everyone enjoys the performance. As Mark Shenton observed in his column last week, when it comes to a theatre’s policy of selling and consuming noisy snacks such as crisps or popcorn, as opposed to softer food choices, then if it does not lead by example you can hardly blame the audience. All these aspects seem so obvious and easy for a theatre to get right. Surely it would only serve to enhance the overall experience of an audience who – first and foremost – are there to enjoy a live performance, and it would show courtesy towards the artists on stage. Ultimately, a shared respect, common sense and basic consideration is needed between audiences and theatres. Norwich Theatre Royal has taken this seriously, releasing an online film about theatre etiquette aimed at educating young patrons and school groups attending performances for the first time. It will hopefully encourage a courtesy in the habits of future theatregoers. However, it still saddens me that we’ve reached a point where it’s become necessary to educate some on how to behave. The way information is put across is important. Theatres must respect their audiences to keep them coming back. To keep people feeling welcome, theatres cannot remove their drinks and sweets on entry only to sell them at a hugely inflated mark-up inside. Inevitably patrons will raise questions. Theatres have worked hard to be accessible and non-elitist. However, whichever way you cut it, paying more than $5 for a small bottle of water (as one New York theatre charged) feels extortionate and will leave patrons unhappy. And it’s this that gets remembered instead of the show itself, leaving the theatregoer with a bad aftertaste and the theatre with a struggle to entice them back. HighTide's Steven Atkinson: Could ensembles be theatre’s saviour?